Yukina (Tao Tsuchiya, Library Wars: The Last Mission) has always been the go-with-the-flow type. Unknowingly—and rather frustratingly—she drifts into a second-rate university where everybody looks like a bespectacled geek. During O-Week, she meets Kei (Mahiro Takasugi; ReLIFE, Before We Vanish), a cute upperclassman who recruits her into the nerdiest club in school, the Human-powered Aircraft Society. Their goal? To fly a bicycle-powered DIY airplane over Lake Biwa at the annual Birdman Rally. 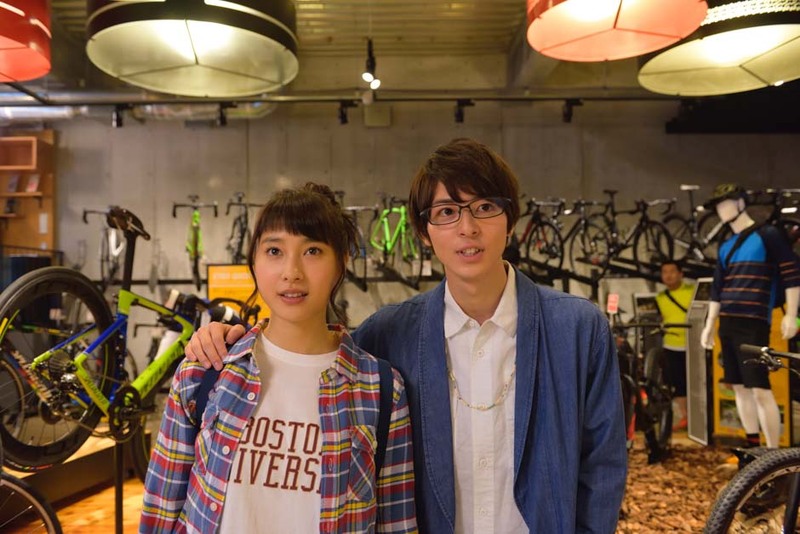 Yukina passes the pilot try-outs but little did she know that ace cyclist Sakaba (Shotaro Mamiya, The Kodai Family) is also after the pilot’s seat. Suddenly it’s no longer about impressing the cute senpai—for the first time, Yukina needs to stop drifting and take control if she wants to represent her team. Audience warning: This film contains very mild themes common to films about university life.